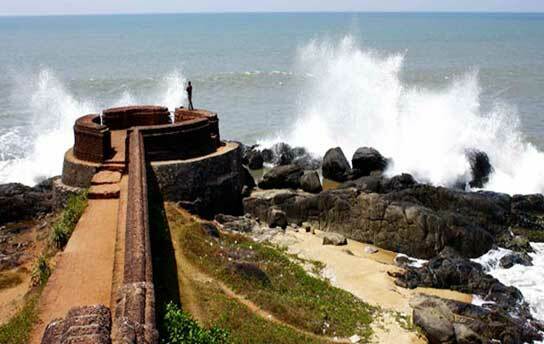 Over three and a half centuries old, Bekal Fort looms large against the backdrop of the Arabian Sea. Soaring observation towers, once cannon emplacements, splendours of the sea that spread to the north, south and west and the rich naturescapes to the east, a water reservoir with a long flight of steps and a magazine for storing ammunition add to the mystery of the place. Folklore has it that there are several secret underground passages here, once used for military purposes. With two of them now open to the public, one can as well take a walk down the corridors of time. Bekal is the most famous of the forts of Kasaragod, renowned as the land of forts; the others being Kumbala, Kasaragod, Kundankuzhi, Bandadukka and Povval. A ruined fort, breathtaking view of the river, coconut groves and the Arabian sea. Six kilometers away, perched beside the Chandragiri River, is the Chandragiri Fort. Built during the 17 th century by Sivappa Naik of Bedanore, who is said to have built the Bekal Fort too, Chandragiri's western rampart is an ideal place to watch sunsets. The fort has an eventful history to relate. A couple of centuries ago, the river Chandragiri was considered the border of two powerful kingdoms - Kolathunadu and Thulunadu. When Thulunadu was captured by the Vijayanagara Emperor, the Kolathunadu kings lost the Chandragiri region to them. It was only in the 16th century that the great empire of Vijayanagara (presently under the Karnataka State) declined. But later the Ikkeri Naikkars or the Bedanoor Naiks took over the reins of Chandragiri as an independent region. Thus the Chandragiri Fort was built by Sivappa Naik for the defence of his kingdom. The fort changed hands over the years to Hyder Ali of Mysore and then to the British East India Company. Today it is a protected monument under the State Archaeology Department. 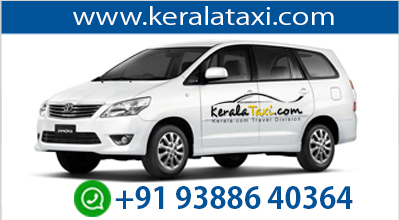 The Chandragiri region was rejoined to the State of Kerala through the State Reorganisation Act, 1956, Government of India. 15 kilometers away from Bekal and 4 kilometers from the town of Kanhangad, is the Hosdurg Fort – a chain of forts built by Somasekhara Nayak of the Ikkeri dynasty. Today, Hosdurg's historic aura has a spiritual touch to it, due to the Nityanand Ashram located 4 kilometers away, with its 45 caves. 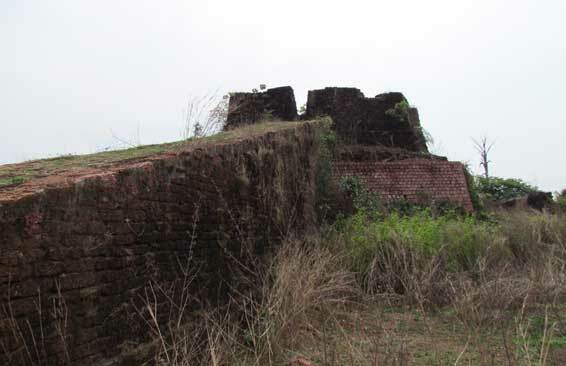 This fort is surrounded by high brick walls with round bastions, on all the sides. 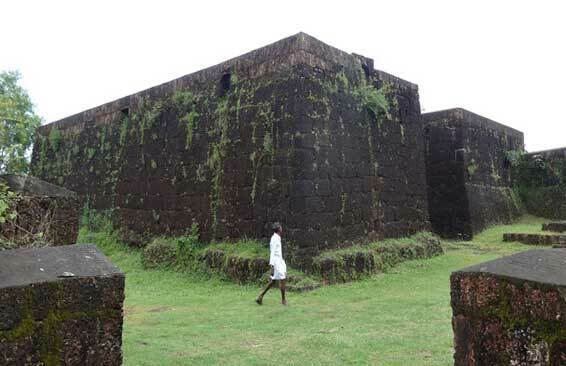 Hosdurg Fort is completely made of mount clay bricks, which are broken from the lower levels of the Western Ghats. These bricks are known to get stronger and tougher with the passage of time. A total area of 26 acres is what the fort occupies. The Poonkavanam Karpooreswara Temple, dedicated to Lord Shiva, is located at the south west of the fort. This temple too was built by the Nayaks. There are several public offices in the fort premises aswell.